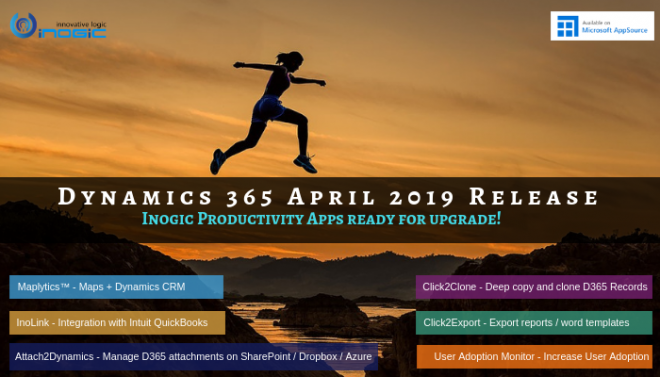 Our new release of Click2Clone solution and its new features has been helping Dynamics CRM users save a lot of time. Originally, Click2Clone started with some basic features of cloning records in a simple manner. Eventually, we started getting requests for enhancement of advanced cloning features. With the help of valuable feedback and suggestions by our Partners and Dynamics 365 CRM users, we have been gradually enhancing Click2Clone. Lets explore today a feature from our new release viz. set references. The core objective of developing this feature is to enable the user to easily update the cloned record with the help of Click2Clone workflow. The Secondary purpose is to identify the source reference of the cloned record and vice versa. This feature is beneficial in case you have multiple entries of a record with the same name. Here we have taken an e.g. of an Opportunity where we create a workflow to clone record automatically on a specific process and update the required fields of the new cloned record. Along with that, user can set the source reference on cloned record and vice versa with Set Reference feature. Selected Opportunity: We have selected an Opportunity with the Name whose other details are filled in the record. Here we have created 2 new fields to set the source (Source Opportunity field) and target (Cloned Opportunity field) reference. These new fields are lookup type on the Opportunity record. Using this field user can store the source and target reference of Opportunity and can easily redirect to the required record. User can also automatically update the cloned record using Click2Clone workflow. We have selected the opportunity and changed the Topic name as the workflow is set for the process of Record Topic field change. Once it is done the target reference is set on Cloned opportunity field of selected Opportunity record as shown below. The cloned record will be updated with the required values set in the workflow. Here we have mapped the Budget Amount of cloned opportunity with the Est. Revenue of selected Opportunity. Also, the source reference is set on the Source Opportunity field of Cloned Opportunity record as shown below. This is possible with the help of Set Reference in Click2Clone Template that is created for Opportunity. With Click2Clone Template, user can configure the solution for the required entity. Here we have created Click2Clone Template for Opportunity entity and have configured Suffix as Copy along with Set References. Also, we have created Click2Clone workflow to update the cloned record on the record field change process. The workflow is shipped with the two Click2Clone assemblies i.e. 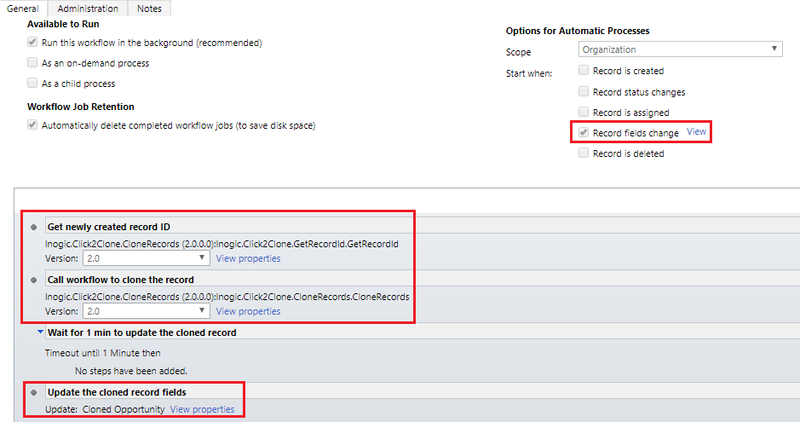 Inogic.Click2Clone.GetRecordId (to get newly created record id) and Inogic.Click2Clone.ClonedRecords (set the Entity Name, Record ID, Click2Clone Template and call workflow to clone the records) as shown below. Users can now do needful updates in the cloned record. For this user needs to add the update record steps where new data is defined in view properties to get cloned record updated with the new data. Here in Update Cloned Opportunity step for doing the needful changes we have set the values for the various fields as shown below. So what are you waiting for! Now take full advantage of cloning with the new version of Click2Clone and experience an advanced cloning process. So, hurry up and explore this set reference feature and update the cloned record with the workflow right away by activating the 15 days free trial from our website or Microsoft Appsource. For a live demo or further details, you can contact us at crm@inogic.com.